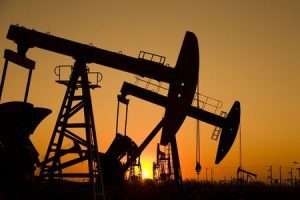 The world’s largest oil company has plans to invest heavily in its infrastructure in the Permian Basin and Gulf Coast region, according to a recent press release. Earlier this year, ExxonMobil announced that it will triple its production in the Permian Basin by 2025, bringing it up to more than 600,000 oil barrels per day. The company plans to invest more than $2 billion in transportation infrastructure to support the three-fold increase in production as well. This infrastructure will carry Permian crude oil to refineries and marine export terminals on the Gulf Coast. So how does ExxonMobil plan to achieve its ambitious production goals? Over the course of the next several years the company plans to increase its horizontal rig count in the Permian Basin by 65 percent. Furthermore, ExxonMobil says that it has reduced its per-foot drilling costs by roughly 70 percent since 2014, allowing it to increase production while remaining profitable. The company also credits recent changes to the U.S. corporate tax rate with allowing it to increase future capital investments. At Ritter Forest Products, we’re proud to support our region’s booming oil and energy industry by providing petroleum companies with the crane mats, outrigger pads and pipeline skids they need to expand their infrastructures. To learn more, feel free to give us a call at our toll-free number or contact us online today! This entry was posted in Uncategorized and tagged ExxonMobil, Gulf Coast Refineries, Permian Basin Oil. Bookmark the permalink.